BANFF, Alta. 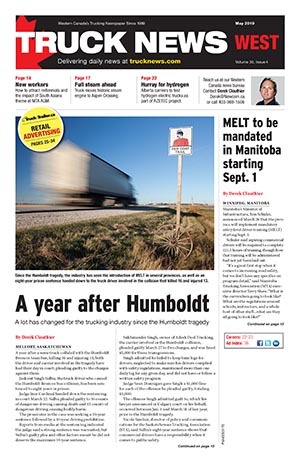 – The person at the helm may have changed, but the Alberta Motor Transport Association’s (AMTA) priorities have not. Recently appointed association president Chris Nash said the AMTA will continue to be the voice, standard, and resource for its members. As the voice of the industry in Alberta, Nash pointed to the testing and acceptance of single wide-base tires as an advocacy win. Single wide-base tires help increase track width, improve traction, and make maintenance simpler with the elimination of unequal tire pressure seen with duals. With full uptake today at 1.5%, or 260 trucks in Alberta, super singles also reduced CO2 emissions, use less oil in the manufacturing process, and result in fewer tires being disposed. Nash said he will endeavor to maintain and continue to grow the ATMA’s high industry standards that have been established over the last several years. In addition to the safety benchmarks set through the Certificate of Recognition (COR) and Partners in Compliance (PIC) programs, Nash said there has long been a need for a standardized driver training program. Nash also highlighted the recent refresh of the PIC program, with a rewrite of its operations policy manual, the introduction of a safety matrix measurement portal, and engagement in the development of the level 8 inspection. As an educational resource for its members, the AMTA will continue to offer its various training programs and safety conferences. Injury Reduction and Training, the Professional Driver Improvement Course, Certified Transportation Safety Professional program, as well as a continued push for a standardized mandatory entry-level driver training course will all remain top priorities. Collaboration efforts with the government, enforcement, membership, and its board are other areas of focus for the AMTA. As is the construction of a new AMTA office at the Edmonton airport, a five-acre facility that will include a training track. 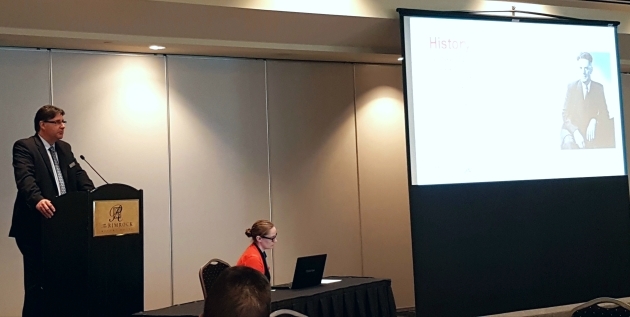 Several other initiatives, such as Western Women with Drive and collaborations with Women Building Futures and Bridging the Gap in Alberta’s Trucking Industry were also highlighted. 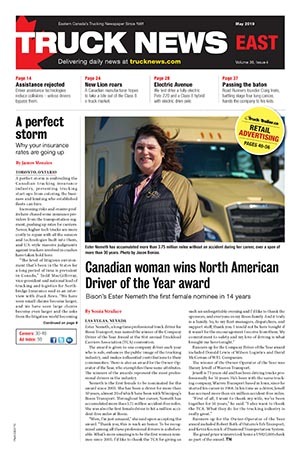 “Driving is not always seen as a number one career choice, but for myself and others in the room, that is not the case,” Nash told attendees of the ATMA 80th annual Leadership Conference and AGM. Nash acknowledged the challenges going forward, particularly when it comes to progressing technology and its potential effects on the industry.